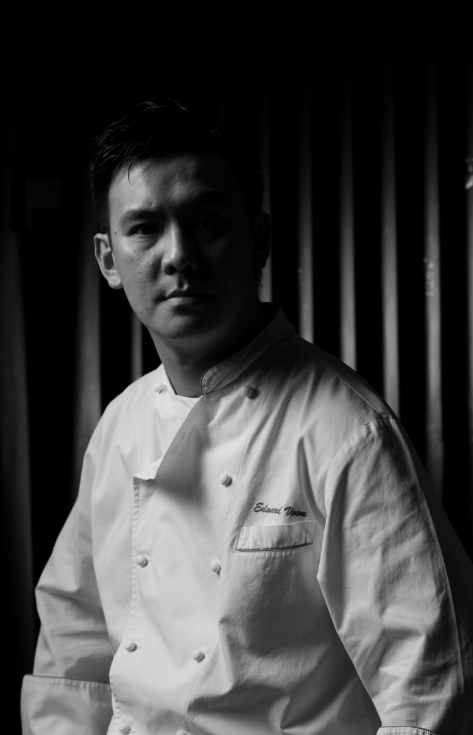 (Hong Kong, 10 September 2018) Chef Edward Voon brings something different to LE PAN’s table on 26 and 27 October, embarking on a daring showcase of the dynamic flavours of his Asian upbringing. Each dish on his 33-course tasting menu, ‘Asia Unleashed 33’, is a complex, contemporary interpretation of a culinary memory from his childhood. Diners will be invited, in turn, into the kitchen to feed off the frenetic action as Voon orchestrates a fearless feast of the unexpected: 33 courses to be savoured within three-and-a-half hours. 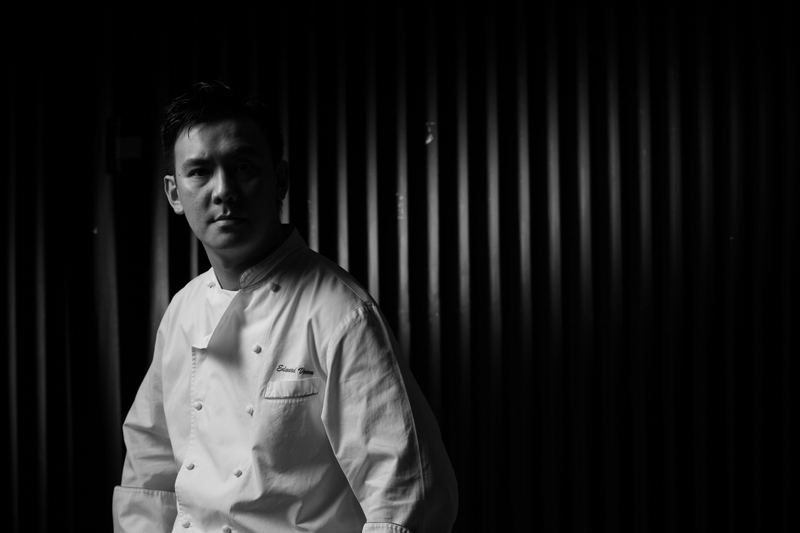 As a young chef working in the top kitchens of Singapore and eager to experiment, Voon was fascinated by the precision and beauty of French gastronomy, the creative marriage of ingredients, and the artful plating. Since relocating to Hong Kong to launch LE PAN, his reimagining of Contemporary French – with characteristic exuberance and a sense of adventure – has quickly won him a local following. Despite the Gallic sensibilities that determined his career path, Southeast Asian cuisine occupies a special place in Voon’s heart. He values his roots and adores the dishes the region has given the world. Good, simple, local food cooked by friends is his constant source of comfort as well as inspiration. 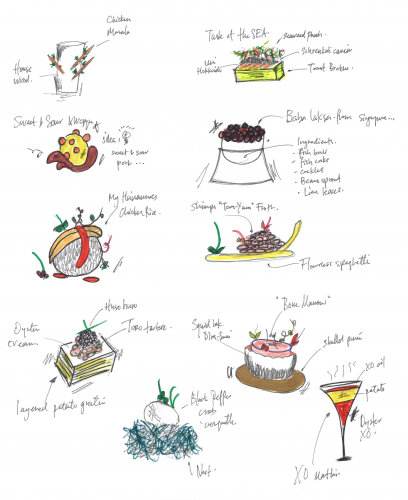 Now, he takes a further step, merging his experiences into this epic 33-course dinner. Singapore’s ubiquitous chicken rice is envisaged as sushi; sweet and sour Ibérico ham is the liquid centre of a crispy candy; and the fiery flavours of Madagascar black pepper crab burst from a croquette. Fish balls, cockles, bean sprouts and lime leaves form a fragrant laksa mousse. 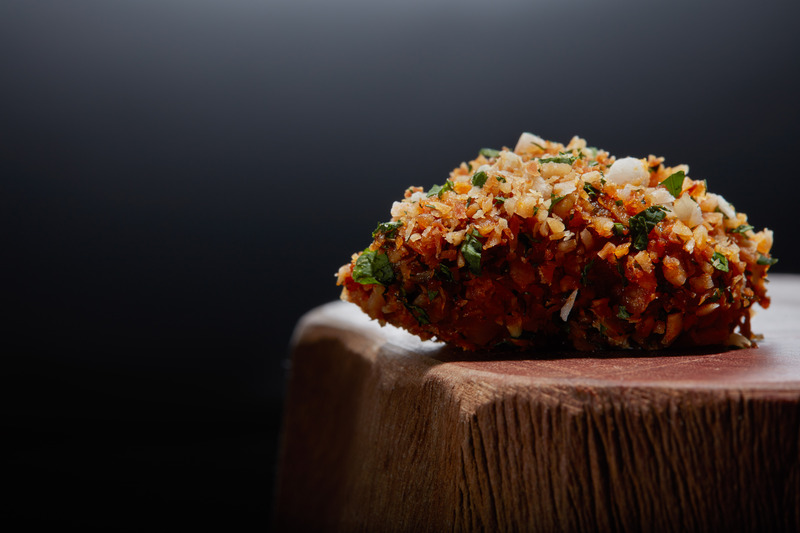 Slow-cooked beef tendon is chopped, enlivened with coconut, shaped into balls, and breaded. A delicacy dubbed ‘Singlish’, which is presented on a spoon, sees chilli crab liquefied and steamed bun crumbled, while ‘XO Martini’ is creamy layers of oyster, potato and XO sauce served in a Martini glass. 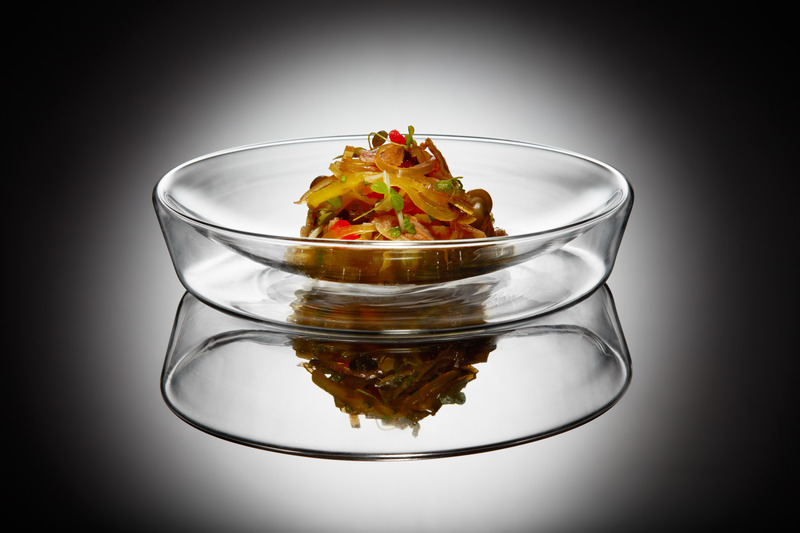 Each small dish in this unorthodox and provocative culinary odyssey is balanced yet extraordinarily complex, making its construction a feat of both imagination and technique. And choosing to serve 33 dishes in one sitting is a challenge of mammoth proportions. Voon must utilise all the richness of knowledge gained over his 30-something years in the kitchen to deliver on the promise of an extraordinary evening. It is a labour of love and a test of his temperament. LE PAN presents inventive Contemporary French cuisine by Edward Voon, one of Asia’s most creative and charismatic chefs. Spacious, all-white interiors and grand private rooms with patios set LE PAN apart from other Hong Kong restaurants. Tasting menus balance textures and tastes, and excite with theatrical flourishes and unexpected combinations of premium ingredients.